The Price Podcast | Listen Free on Castbox. In this episode, I talk to James Avery founder and CEO of Adzerk about how he turned a small ad network doing 1 thousand dollars a month in revenue into an ad platform doing over 5 million a year. Adzerk's platform helps other companies use apis to build ad servers. 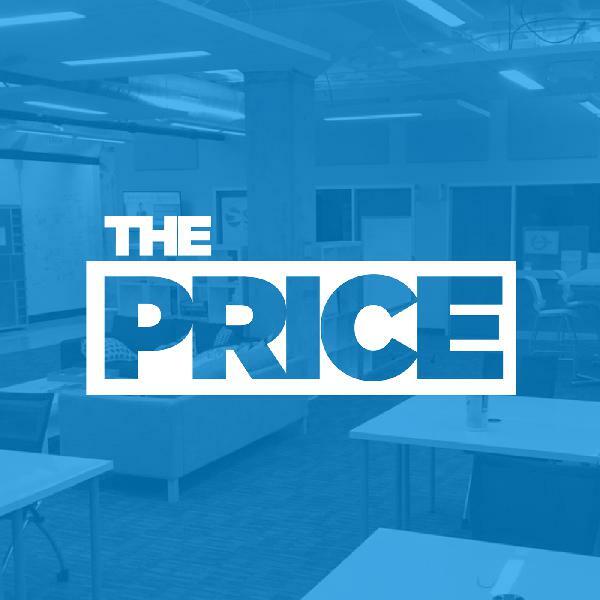 James talks about the different ways he priced the product and how unexpected invitation to stick around in a meeting at a customer’s office led him realize his key product differentiator and helped formulate the product strategy. Also, James describes his company as “seed-strapped”. To find out more about what that means, listen on! Founded in 2015 by Clarence Bethea, Upsie is an insurance technology company changing the way device warranties are purchased, managed and serviced. In this episode, Clarence tells the story of how he learned about his opportunity in the marketplace, how he got the first version of his product made, and what it was like to raise money via TechStars. Clarence also explains the thing that keeps him motivated and excited everyday. Nathan Clendenin is the Founder of StoryDriven, an 8-time Emmy Award winning video marketing firm that specializes in telling human centric stories. In this episode, Nathan tells how he develops stories for his customers, what a "brand journalist" is, how StoryDriven comes up with their core values, and what it was like to get an Emmy. We also talk about what kind of stories he wants to tell. Joe Bell is the CEO of Cultivate, a social media management platform that helps companies plan organize and execute social campaigns that reach more customers. Cultivate was featured in South by Southwest’s 2017 Startup Spotlight and won North Carolina Technology Association’s Top Tech Startup to Watch for 2017. In this episode, Joe shares his experience evolving his marketing company into a software company. He talks about bringing on co-founders and raising money from investors. He also gives his advice for how to land those first customers.